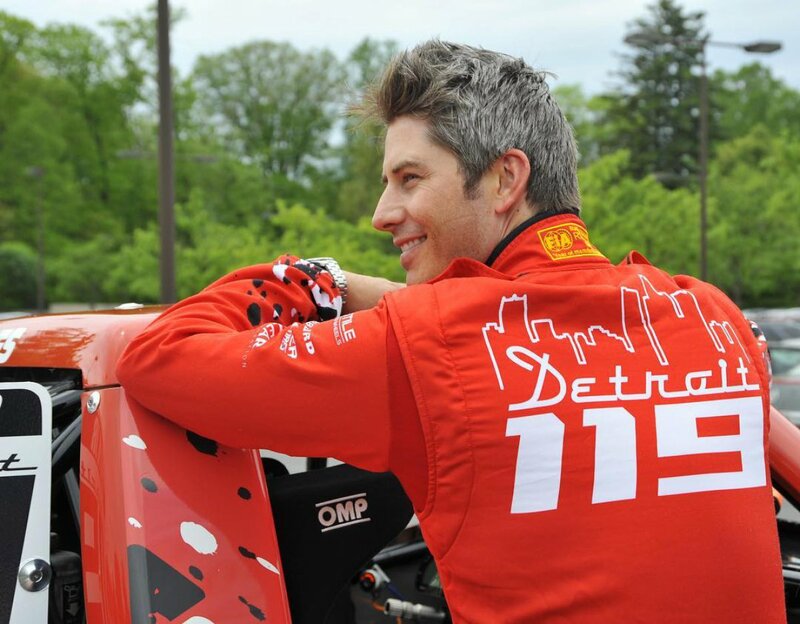 Arie Luyendyk Jr. -- Sean Lowe gives 'The Bachelor' advice, calls him "quirky" and "endearing"
Arie Luyendyk Jr. asked his friend Sean Lowe for some The Bachelor advice before filming began, and Sean hopes the race car driver will take his words to heart. "I told him to stay open minded and not to find the most attractive girl the first night and only have eyes for her," Sean, who starred on Season 17 of The Bachelor, shared with Us Weekly of his conversation with Arie. Sean, who is still married to his The Bachelor winner Catherine Giudici, met Arie when the two guys competed for Emily Maynard's heart on The Bachelorette's eighth edition in 2012. At the time, Arie finished as the runner-up behind Jef Holm, and Sean was eliminated in third place. "Then I told him after the show is the hardest part," Sean continued. "That's when you have to commit and make it work and block out all the bright lights that come your way. Hopefully he takes my advice." But Sean, 33, apparently has complete confidence in Arie and his ability to provide good, quality entertainment for ABC viewers. "Arie has got a great personality. He's kind of quirky," Sean told Us. "He knows he's nerdy, which I think is endearing. He definitely doesn't play the cool guy part. He knows who he is and doesn't put on any fronts. He's just a nerdy race car driver." Catherine, who welcomed a son with Sean in July 2016, is also a fan of Arie's unique charm and sense of humor. "Sean was funny but you wouldn't expect that from him. Arie is the same way," Catherine explained. "You would expect him to be this cool, sauce guy but he's not. It'll disarm a lot of the girls, which will be great. It's like, 'Oh, you're kind of weird. I'll be weird too. I'll be me.'" Production on Season 22 of The Bachelor is underway, as filming began on September 20 in Los Angeles, CA. Arie's participation on The Bachelor's 2018 edition, which will premiere in January, was officially announced two weeks prior to the start of taping. Bachelor Nation had a polarizing reaction to Arie's casting, but longtime host Chris Harrison and producers have faith it will be a great season and a nice change of pace. "The girls are fantastic. Arie is so engaged and sincere," a source told the magazine shortly after filming commenced. Exclusive: Simone Nguyen talks 'Survivor' -- Devon Pinto saved my life, but I wish he had saved my game!